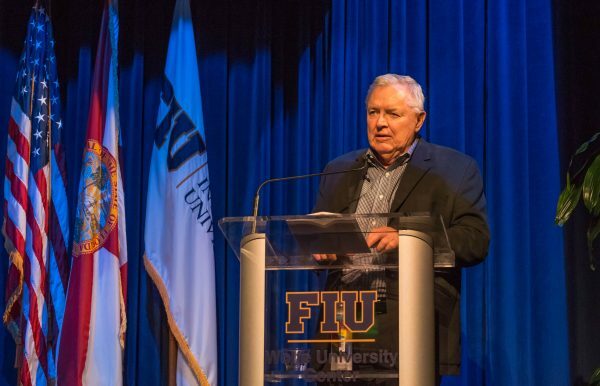 FIU Creative Writing Program Director Les Standiford is taking to the stage to moderate a conversation between former President Bill Clinton and novelist James Patterson. 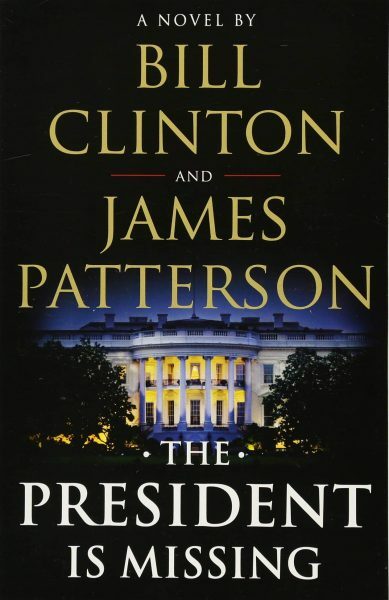 The topic of conversation is Clinton’s and Patterson’s political thriller The President is Missing. Standiford, a professor in the Department of English and celebrated author, will explore the unique literary collaboration and research, as well as the timely and alarming issues the novel raises about the world today. The event starts at 8 p.m., Saturday, Dec. 1 in the Knight Concert Hall of the Adrienne Arsht Center. “I have been fortunate enough to do a lot of things by dint of going down the writing path, but as far as I am concerned, this is about as cool as it gets,” Standiford said. Tickets for the event can be purchased online. Regular tickets start at $50 and include an autographed copy of the novel. Students, faculty and alumni of FIU’s Creative Writing Program can take advantage of discounted tickets for $4 by using the promo code FIUSTUD, while supplies last. There is a limit of two tickets per customer and it does not include a copy of the novel. The President is Missing recounts the disappearance of fictional president Jonathan Lincoln Duncan on the heels of a cybercrime attack jeopardizing Secret Service protection. It marks the first time a president has collaborated with a best-selling novelist on a work of fiction. It was published in June and has sold 1 million copies in North America. A TV adaptation is being developed by Showtime. Standiford, himself, has published more than 20 books during his acclaimed career. The Adrienne Arsht Center is actually the subject of his latest book, Center of Dreams: Building a World-Class Performing Arts Complex in Miami, which hit bookshelves in April. Standiford is the 2018 recipient of the FIU Worlds Ahead Faculty Award which recognizes faculty who engage in significant research, partnership or creative initiatives that make an impact in their field, in the community and the world.